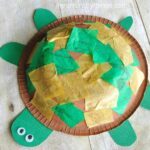 We’ve been having a blast turning paper bowls into adorable crafts lately. After making our ladybug last week I knew I wouldn’t be able to leave the bowls alone until we had made a cute bee to go with our ladybug. I feel like ladybugs and bees go hand in hand together don’t you think? 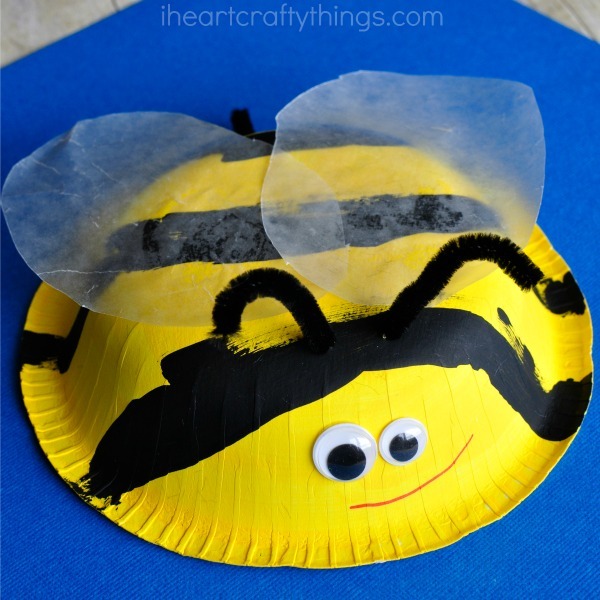 This paper bowl bee craft for kids is perfect for a summer craft for kids and did I mention how super adorable it is?! Seriously, go out and buy some paper bowls and get crafting with them stat! 1. Start by painting the bottom of your bowl with your yellow paint. After it dries, paint black stripes onto your paper bowl. 2. When your paint is dry, cut out bee wings from your wax paper. We just cut out two oval shapes for the wings. Glue them onto the bottom of your bowl. Cut your black pipe cleaner in half. 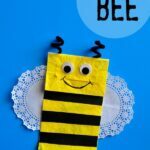 Poke two small holes into your bowl, thread your pipe cleaner half through the holes to make bee antennae. 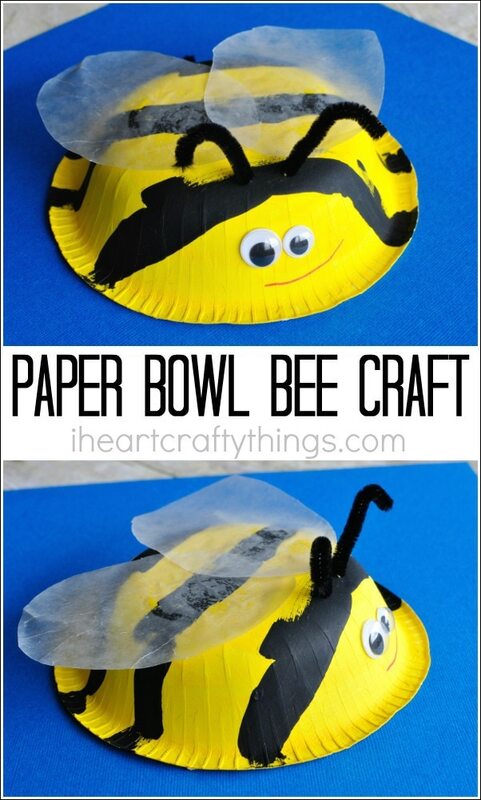 Cut off another piece of pipe cleaner and tape it to the back of your bowl for a bee stinger. 3. 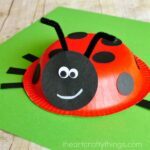 Glue your googly eyes onto your bee craft and then finish him by drawing on a smile.